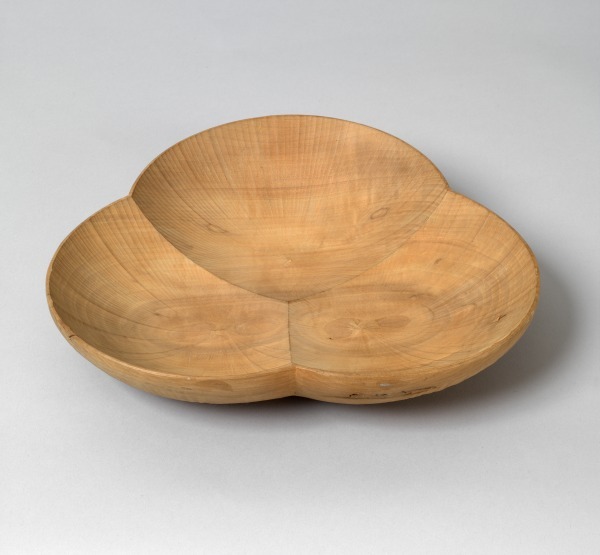 Round wooden dish with three joining concave sections and a leaf shape indent, with faint radiating flutes on inside. Apple wood, carved with radiating flutes on the inside. The outside is carved, and finished with spokeshaves. The fluting inside is cut with a gouge or hook-tool directed by a lever. (Technique invented in 1949 by the maker). 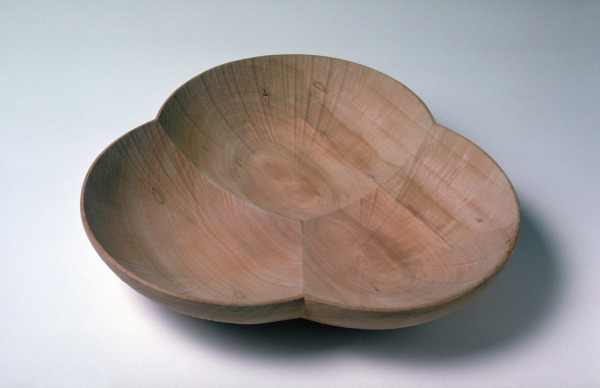 Dish, David Pye, 1972, Crafts Council Collection: W15. Photo: Todd-White Art Photography.